I'm not going to choose a specific book to read this October - nothing is leaping out at me, so it will be a case of whatever I fancy reading at the time! 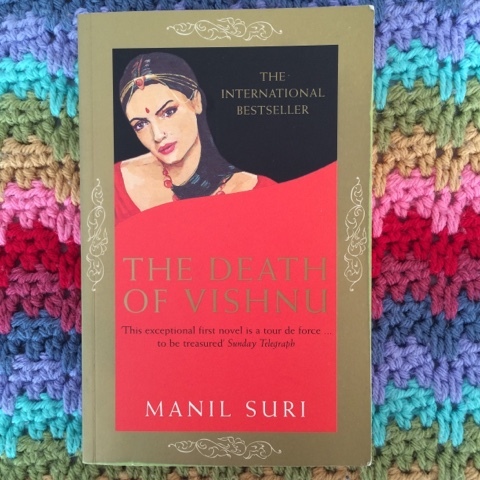 My book for September was The Death of Vishnu by Manil Suri. I've had this book on my shelf in my childhood bedroom for years, and it's never appealed to me when I've been back at home and needed something else to read. However, it's one of those books (The Blind Assassin by Margaret Atwood is another) that I should have read sooner as I really enjoyed it! Vishnu lives on the downstairs landing of an apartment block, and is dying. The plot follows the lives of the four families who live in the block, as Vishnu deteriorates. There are teenager lovers, arguing spouses, irritating little brothers. I can't put my finger on what made me enjoy it - I think it just captured my attention. Hold Tight by Harlan Coben was an impulse buy in a charity shop a while ago. I've read a couple of books by this author before, usually picked up from book swap shelves when travelling. This book wasn't my favourite - Mike and Tia, parents of two children, decide to install spy software on their teenage son's computer, and naturally they don't like what they find. Nearby, a woman is murdered, her face beaten so badly she is unrecognisable. 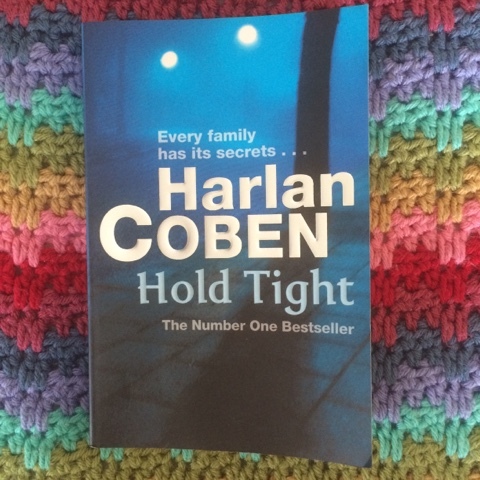 Through a few twists and turns various families find their stories are interlinked as the police try to work out who this woman is, and who killed her. I found the writing in places to be a bit plodding (the killer is 'crazy' - well, yes, I'd presume most murderers could be described as 'crazy') and there were a few characters who seemed a bit too much of a stereotype (super-successful lawyer, married to her job and doesn't have children). That aside, I did want to keep reading, although I probably won't be reading another one for a while. Definitely need to be in the right mood! Thankfully, it was as good as I was anticipating. I was reading it on the way to a conference, and at the conference a few people I was sitting with at lunch got talking about books, I said I was reading Us and people unanimously agreed it was indeed excellent! So my colleague has claimed my copy once I'm done with it. Douglas plans a Grand Tour round some of Europe's art galleries to hopefully improve his relationship with his wife and teenage son. Naturally, things do not go according to plan, and there are mishaps, adventures, and a lot of drinking along the way. A book I was sad to finish, as I had that feeling I often get when I finish a good book, as I'm concerned the next book I read won't be as good. I needn't have worried. The book I started on the way back from the conference was Funny Girl by Nick Hornby. I happened to mention to Vikki that I was just starting this, and she assured me I'd be mourning the end of this book too. I was entranced within just a few pages. 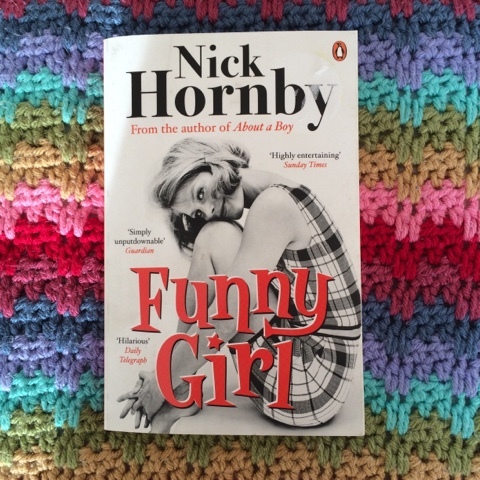 Sophie moves from Blackpool to London in the 1960s to try and become a comic actor on television. Thinking back on it now, I can't really remember what happens in way of a plot, but I know I enjoyed it. I think I've enjoyed all of his books. 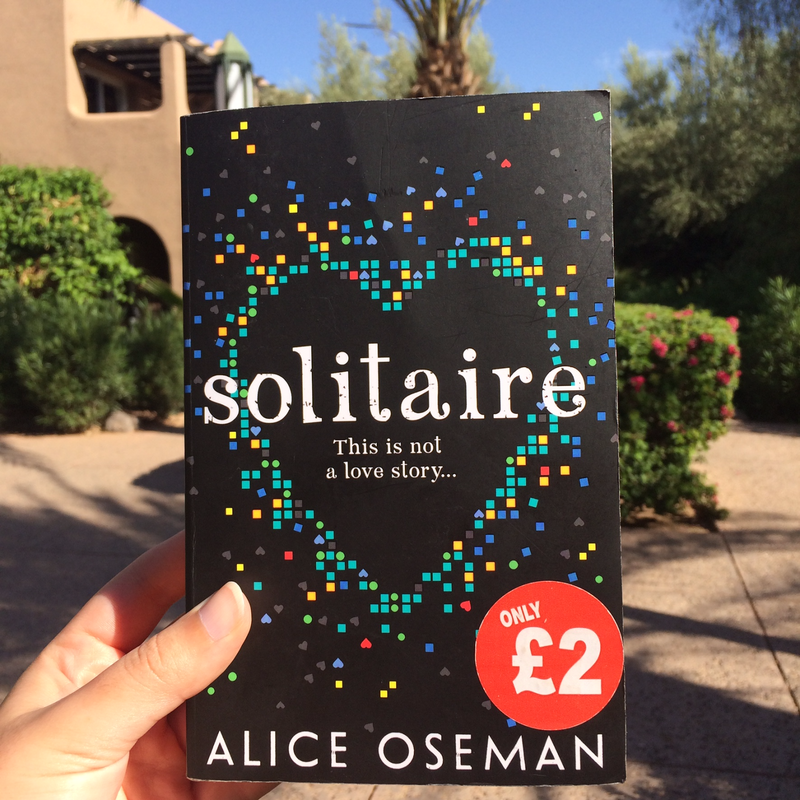 Solitaire by Alice Oseman was another charity shop purchase. I read her second book Radio Silence back in April which I did like, but if I'd read Solitaire first I don't think I would have bothered reading any more, as I really did not enjoy this book. 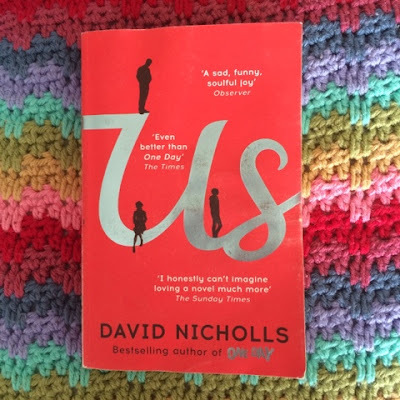 All the teenagers in it just seemed incredibly unhappy (even the ones proclaiming happiness) and everyone seemed sad and when good things happened they seemed to be bad and negative and although I read this in Morocco, in glorious sunshine, it did its best to dampen my spirits! Maybe I've entirely missed the point of it, but this was just not for me. I find that with YA fiction, some of it I like but there doesn't appear to be any predictability with this! 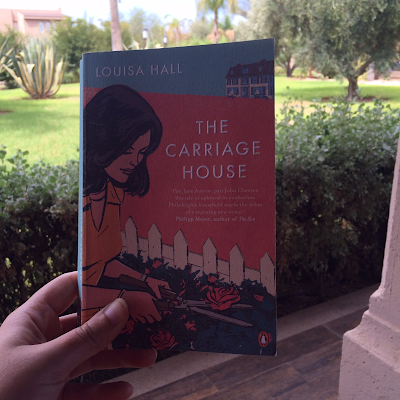 The Carriage House by Louisa Hall was a charity shop purchase. It's apparently a modern retelling of Austen's Persuasion, which I can't comment on as I've never read Persuasion. A father has a heart attack and his three adult daughters complete with their children and problems come back to spend a summer with him whilst they all try to rebuild a carriage house built by their family which is under threat from a neighbour. I did enjoy this, but that's partly because I read it on holiday in just a couple of sittings - if I'd read it at home, over a longer period of time, I don't think it would have kept my attention. The hotel had a few bookshelves for guests to leave/take books and despite taking more than enough books of my own, I couldn't resist The Versions of Us by Laura Barnett. I utterly loved this - one of my favourite books of the holiday. Two people meet in Cambridge, when they are young students. The book then has three versions of what happened next. In places I did lose track of who the characters were (ah, your daughter is eight, oh no wait a minute, she's just started school, hang on a minute, which country are you living in?) but that's most likely a reflection on me not paying attention - each chapter is headed with 'Version I/II/III' so you should be able to keep track. One of the questions for reading groups at the end is 'which version did you prefer?'. I honestly don't know. Highly recommend. Whilst in Morocco we went on a (rather long) day trip to Essaouira, an old port which is beautiful. I managed to start and finish The Unlikely Pilgrimage of Harold Fry by Rachel Joyce on the coach. I've liked previous Rachel Joyce books, but not this one. Harold is an elderly man living somewhere along the south coast, he receives a letter from a lady he once knew who is in Berwick-Upon-Tweed and he decides to walk to see her. I found it all a bit unnecessary and unlikely, and most of the characters annoyed me. A good book to read on a coach, but it went straight on to the hotel's book swap shelf when we got back from the trip! So, a good month for reading, thanks to a lot of travelling and two weeks of annual leave. Not sure what October holds, other than a lot of work. I have however completed my Goodreads Challenge for this year, of 26 books. I did admittedly set it quite low, and I have read a number of not particularly challenging books this year, so I'll try and rectify that for the next few months! Ugh, Solitaire was SO bad it made me angry! I liked the character of the brother's boyfriend and that was about it. And I'm so glad you liked Us, I think it's a brilliant book.